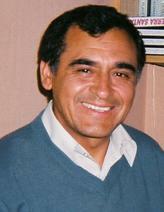 Narciso Zamora has walked the message of Christ into the mountains, jungles, fields and forests of his native Peru and throughout Ecuador and Chile. Dreading the life of hard labor offset by nights of drunken stupor that his father modeled, Zamora ran away from home after high school. He lived a vagrant’s life, surviving through delinquency, until through the generous support of a Christian family, Zamora came to know Christ. He left the jungle to study at a seminary in Lima. 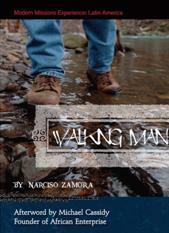 Walking Man recounts Zamora’s winding and treacherous path, literally and figuratively, toward finding his calling in missions. Characteristic of Zamora’s more than 30 years of mission experiences is his determination to go anywhere he felt called to preach and teach – walking day and night into the jungle or trekking from valley to alpine zone and back down the other side of the mountain, just to reach an isolated village. With half a dozen well-established congregations in place in Peru, Zamora affiliated the churches with an international denomination and later moved to Ecuador and Chile planting churches. In Chile a new trial faced the Zamora family when his wife’s kidneys started to fail. Dealing with the emotional turmoil of a chronically ill spouse wore more heavily on him than any adversity he had encountered in his ministry. Zamora became depressed and in this chapter of his life, he learned new lessons and gained new insights into what it means to carry the cross of Christ. I have known Narciso for many years. When he did the book tour, he stayed at my house. Recently, I received a letter from which I want to discuss with you. Sorry to be so long in replying, Bro. Lamb! We thank you so much for your support of Narciso over the years. The work in Peru is as strong as ever and we hope you’ll continue to pray diligently for it.